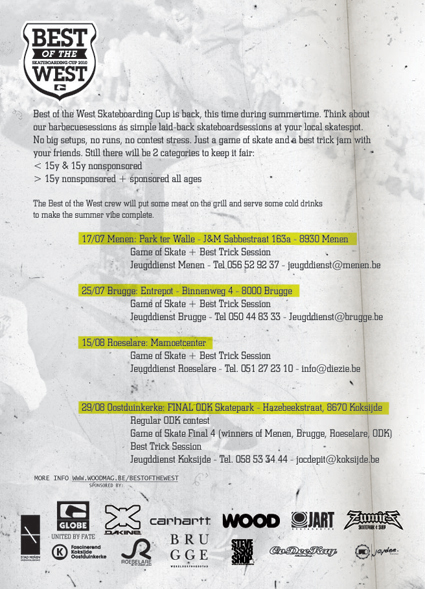 BEST OF THE WEST - BELGIAN CONTEST SERIES 2010! … with a Game Of Skate and a Best Trick Jam. Take your board and go there!